BTPD is investigating a Shoplifting that has occurred near you. Visit nixle.com for details and to report tips. Burlington Twp. Police is asking the public for assistance in identifying a shoplifter at the Burlington Wal-Mart located on Route 541.
the Wal-Mart (2106 Mt. Holly Rd.) for a shoplifting. 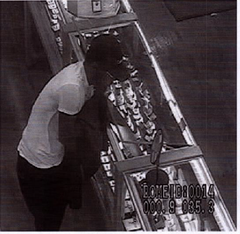 The unidentified suspect stole rings from Wal-Mart's jewelry case. If you have any information to report that could help lead to an arrest please contact P/O C. Zier #112 at 609-286-2019 or czier112@burltwppd.com, thank you.